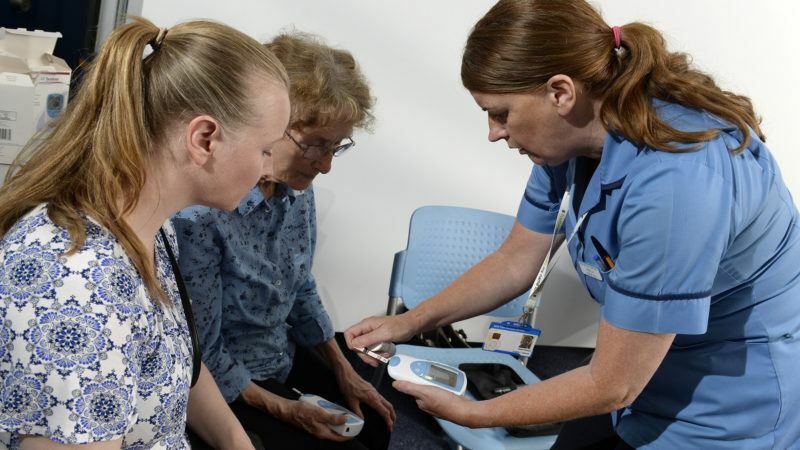 For the past three months, patients in Bracknell and Ascot have been using the Inhealthcare warfarin home monitoring service to monitor their INR levels and adjust their warfarin dosage from the comfort of their own home. Patients in the area have now been introduced to a new mobile app to help them track, monitor and manage their long-term condition. The app, My Inhealthcare, allows patients to send health readings to their doctor or nurse and receive dosing instructions automatically. Previously patients had the option to use either an automated phone call or email to relay readings back to their GP. Now they can choose from the three methods. Readings are sent from the patient into the clinic’s dosing software. Each dose is approved by the nurse before it is sent back to the patient through their communication channel of choice. The app also allows users to keep a diary of their appointments, testing days and dosing regime. Push notifications also remind patients when they should test and when they should take their medication. The remote monitoring service means patients can stay on top of their health without the hassle of inconvenient and time-consuming hospital or clinic appointments. The service reduces pressures on clinicians meaning they have more time to spend with the most complex patients. The technology is available to patients registered on existing NHS services provided by Inhealthcare in Berkshire, Durham, Lancashire, Norfolk, Yorkshire and the Isle of Wight. Aside from INR, My Inhealthcare also tracks blood glucose levels, heart rate, blood pressure and oxygen levels and weight. We believe that empowering people to take more control over their own health can have a transformative effect on their wellbeing and our studies demonstrate those that self-test are more stable than those that go into the clinic. Already the practice staff in Bracknell and Ascot have seen an increase in patient’s therapeutic range just months into the launch. Patients need a registration code to connect to their surgery. This is provided by a GP or nurse. The app is available at Google Play and Apple’s App Store. If readings fall outside of set parameters, clinicians are alerted for follow-up.